Andrew Hadro has given the baritone saxophone community a great resource in his website jazzbarisax.com and now he’s sharing his art with us. This album of music by living American composers is his first as a solo artist and I hope won’t be his last. The baritone sax has a sound which is nearly infinitely malleable by the musician playing it. From a reedy buzz reminiscent of a cello to the lush round tone of bass trombone and every degree of spectrum in between. Andrew Hadro’s tone is quintessential baritone. It features a rich core with plenty of reediness to help define its woodwind nature and to help the tone carry. His tone is unique yet the discerning ear can hear subtle hints of players who inspired him. I hear a bit of Smulyan is his tone. One important aspect of this album which sets it apart from main stream is that it isn’t filled with the tried and true standards revisited. Instead, Hadro chose to play modern compositions by living composers. 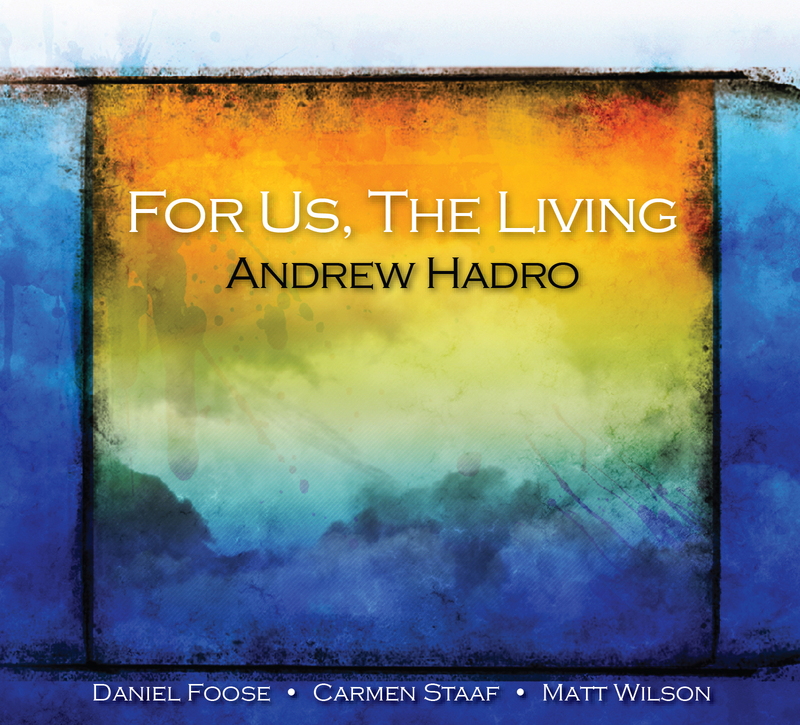 For this reviewer it is a welcome break from the songs that I’ve grown up hearing in as many tempos, arrangements, and time signatures as there are stars in the sky. . As a jazz lover, Hadro is expanding our musical horizons and exposing us to the talent of composers we may not have heard of yet. One of the prominent features of this album aside from great composition choices is the sensitivity each player has towards the music, the other band members, and the shared musical entity they are creating together. If you look at the piece “Give” by Julian Shore, who also co-produced the album, and you will hear delicate dance between the four instruments. The piece is filled with subtle movements and space between phrases. My only complaint about the album is the panning of the solo voice. I much prefer that the solo instrument be dead center. In general I listen to an album 4 to 6 times in as many ways as possible. From quitely comtemplating after a long day to a quick drive to the grocery store, I listen with one or both ears at a time. In listening it feels like the bari is ever so slightly off center in the mix. It’s not a big deal and a little nitpicky but it’s the only thing I could find to pick at on this album and even then it’s hardly noticeable. TAKE AWAY: This album deserves every penny you pay for it and more. It is a fine display of modern jazz compositions and impressive playing by all the musicians on the album. Buy it and then another to gift.